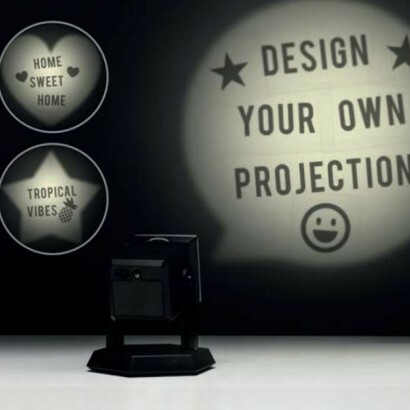 Mark and occasion, communicate your innermost thoughts or simply decorate the walls in your room with customised images all using the versatile DIY Projector Lamp! 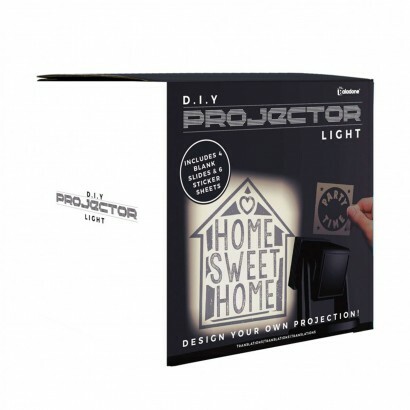 This compact LED lamp projects focused images up to 2m away and with four blank slides and six sheets of stickers, you have everything you need to make your own wall or ceiling projections. Decorate your room, use as a backdrop for parties or celebrate your achievements all with this fun little projector lamp. Projects images over 2.5m tall!